We’re so lucky that among all greens there exists kale – it is so chewy and delicious in salads, plus no other greens fill me up like kale does when I’m feeling particularly hungry. 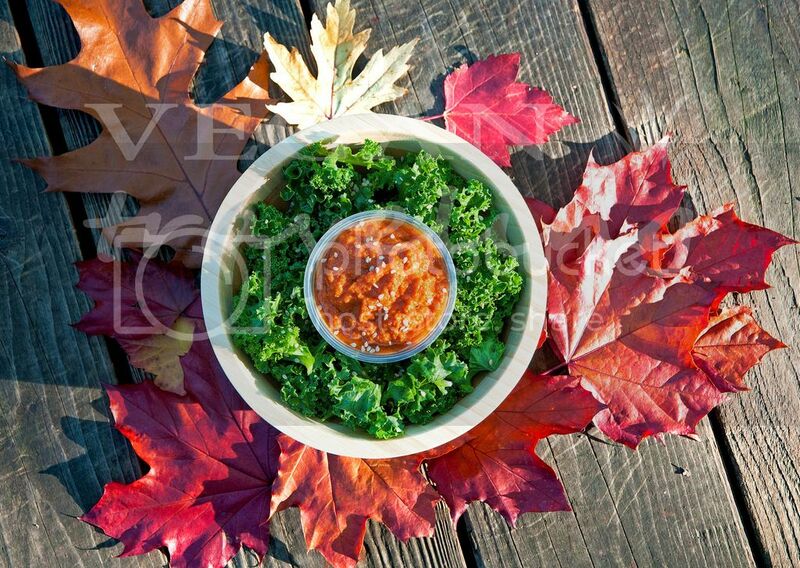 That’s why most of my salads are kale based 🙂 Usually I mix kale with all different veggies, but this time I decided to finally try making a raw vegan marinara sauce and then discovered that it perfectly matches with just simple pure green kale. So for the last couple days I’ve been devouring this amazing duo sprinkled with some sesame seeds. See the recipe for marinara sauce below. Soak and wash the kale, then chop or tear it with hands. Place all ingredients for the marinara sauce into a blender (I used Vitamix) and blend well on medium speed. Pour the sauce over the kale and sprinkle with sesame seeds.